Timothy Campbell, originally from Missoula Montana, has appeared in over 30 musicals and more than 30 operas. 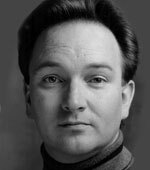 In 1978, Tim made his professional operatic debut as Count Almaviva in Rossini’s “The Barber of Seville” in Minot North Dakota. This was at the request of Metropolitan Opera Star Frank Guerrera. After graduating from the University of Montana, Tim spent the summer at Central City Opera in the apprentice program. His work in their production of “The Face on the Barroom Floor” brought him to the attention of the opera’s composer, Henry Mollicone, and a job with Southern Opera Theater in Memphis for their 1980 season. During that year his roles included Rudolfo in “La Bohéme,” Jack in Jack in the Beanstalk, and the Witch in Hansel and Gretel. Mr. Campbell’s studies with Carol Webber took him to Seattle, where he was a guest artist for three productions at the University of Washington. He portrayed Ruggero in “La Rondine” (1984), Tamino in “The Magic Flute” (1985), and Hoffmann in “The Tales of Hoffmann” (1988). Tim also took his talents into the Northwest School System for five seasons with Northwest Opera in Schools Etc. (N.O.I.S.E.). By his third season he not only acted and sang in the shows, but also served as Assistant Director and took over road manager duties. Tim’s pursuit of a Master’s degree led him to the University of Texas at Austin, where he received the Ernest Butler Scholarship and became a Graduate Assistant for the Opera Department. He did his work for a Doctor of Music Arts degree in Opera Direction under the tutelage of Dr. Robert DeSimone. University of Texas directing credits for Tim include a baroque musical revue, “Baroque and Loving It”, “The Stoned Guest”, “The Roar of the Greasepaint – The Smell of the Crowd” “The Pirates of Penzance” for the Gilbert and Sullivan Society of Austin. Other directing credits include “The Elixir of Love” and “I Pagliacci” for Springfield Regional Opera and “I Masnadieri” and Norma for Pocket Opera of San Francisco. Since moving to Spokane in 2005, Tim has sung with Opera Plus, Spokane Opera, Opera Buffs and The Circle Moon Theater.Most recently, Tim appeared as Monosatos in “The Magic Flute”, as Apollina in “The Songtress” with Spokane Opera and directed Circle Moon Theater’s production of “A Night at the Opperrah”. Mr. Campbell also teaches voice for students at St.Georges School. He has been a resource to local voice teachers and singers to assist with the acting and interpretive aspects of vocal music. Nancy Klingman is an experienced and enthusiastic teacher with lifelong performance background in Opera, Concert and Recital. She has performed widely in Chicago and New York and has appeared in England and Italy, and in regional opera productions in the Midwest, in such roles as the Countess in Mozart’s Le Nozze di Figaro, Donna Anna and Donna Elvira in Mozart’s Don Giovanni, The Mother in Amahl and the Night Visitors, Lauretta in Gianni Schicchi, Frasquita in Carmen, Miss Wordsworth in Albert Herring and Second Lady in The Magic Flute. She has been featured at the International Institute of Vocal Arts in Chiari, Italy. Some of her oratorio and choral appearances are Handel’s Messiah, Mendelssohn’s Elijah, Haydn’s Creation, Brahms’ German Requiem, Bernstein’s Chichester Psalms, and Vaughan Williams’ Serenade to Music. Bachelor of Music and Master of Arts Degrees in Voice from University of Denver’s Lamont School of Music. Voice studios in Chicago, Music Institute of Lake Forest, Princeton, Princeton Adult School, The Lawrenceville School, Holy Names Music Center. Ms. Klingman holds 6 studio recitals each year as well as bi-monthly Performance Workshops for building performance skills. Ms. Klingman is also known for her lighthearted, educational articles on Singing and for her Lectures on Opera and great vocal works in the classical repertoire. At Holy Names Music Center, Ms. Klingman has also developed two Workshops for singers – Singer’s Performance Week and Aria Boot Camp. Past conducting credits include: Cantor/Music Director at Divine Word International, Techny, IL, Soloist – Niles (IL)Township Jewish Congregation, Director of Music at Westminster UCC, Spokane. Member: National Association of Teachers of Singing (NATS). Andrea Olsen has lived in Spokane since 1992, and holds Bachelors and Masters degrees in music from Eastern Washington University. She has been a member of the Spokane Symphony Chorale (1992-2005) and performs with the Bach Festival Chorus, Connoisseur Concerts, Cathedral and the Arts, Allegro Royal Fireworks Festival, and is the soprano soloist at the Cathedral of Saint John the Evangelist. She has performed with the Calgary Opera Chorus, the Calgary Stampede Grandstand Show, the Spokane Symphony and Spokane Opera. Her notable musical theater roles include Marta in “The Sound of Music”, Lily in “The Secret Garden”, Christine in “Phantom”, Miss Sarah Brown in “Guys & Dolls”, Rapunzel in “Into the Woods”, Cathy in “The Last Five Years”, Johanna in “Sweeney Todd”, Florence in “CHESS”, Mabel in “Pirates of Penzance”, Maria in “West Side Story”, Betty in “White Christmas”, Fantine in “Les Misérables”, and Narrator in “Joseph and the Amazing Technicolor Dreamcoat”. Andrea served on the music faculty at Gonzaga University from 2002-2009 and has served as the music specialist at Mukogawa Fort Wright Institute since 2005. She has been on the music faculty at North Idaho College since 2009 and joined the music faculty at Spokane Falls Community College in Fall 2014. Andrea has worked with Spokane Children’s theatre as both music director and choreographer, and taught ballet, tap and jazz at Spokane’s The Dance Center. She has served as music director for the nationally acclaimed Central Valley High School Theatre Department (her alma mater!) since 2014. Andrea sings lead in her back-to-back regional champion Sweet Adeline’s Quartet, Pepper, and serves as the managing director (and member) of Spokane Choral Artists. Andrea has been on the faculty at Holy Names Music Center since 2005. Mary Ella is a Northwest Regional Metropolitan Opera Finalist. She has been a Professional Singer with Los Angeles Master Chorale, Los Angeles Opera, Los Angeles Music Theatre, Opera Associates of Los Angeles, LA Vocal and Instrumental Ensemble, The Long Beach Bach Festival, and San Luis Obispo Mozart Festival, along with LA area churches and synagogues. 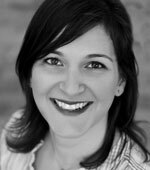 Mary Ella has been a private and class voice teacher at both Whitworth and UC Irvine and private voice teacher in Spokane, Santa Monica and Santa Clarita. Mary Ella has served as Choral conductor of church and school choirs in Spokane and Los Angeles and as an Elementary general music teacher from 1998 to 2018 in the Sulphur Springs and Acton/Agua Dulce School Districts. April D. Young, soprano, is on the voice faculties of Holy Names Music Center in Spokane, WA and The Oaks Conservatory of the Performing Arts in Spokane Valley, WA. In both locations she teaches classical and CCM techniques and literature and also works with young voices. Ms. Young maintains a private studio. She holds a Bachelor of Arts degree in Music with a Voice Performance emphasis from Westmont College in Santa Barbara and a Master of Voice Pedagogy degree from Westminster Choir College in Princeton. Ms. Young is a group voice clinician for area high school choirs. Ms. Young studied voice with the late Sister Marietta Coyle. She directed K-7 and adult choirs. Ms. Young served as a cantor in several parishes around the Spokane diocese for twenty-three years. Her solo performing credits include recital, musical theater and cantata. Ms. Young’s studio credits include the vocals for a computer game in the Myst series.